GOOGLE DATA STUDIO FEATURES · 10-MINUTE READ · By Misty Faucheux on July 31 2017. Google Data Studio offers advanced reporting visualization that includes customizable dashboards, charts and graphs. While the product is fairly new, marketers have embraced the platform since it allows them to show different data in a more visually appealing way. Yet, most people only scratch the surface of the capabilities of the platform. In this article, we break down ways to make your reports more meaningful to both you and your stakeholders and clients. Most marketers want to see how campaigns are performing over a certain time period. With Date Range filters, you can group data by specific date ranges. To add a Date Range filter, you can select the icon, and then draw a shape on the report where you want the filter added. Within the Date Range Properties panel, there is a “Data” tab. Use the default date range selection. In the “Style” tab, you can change the look of how the data appears on the report. Similar to Google Analytics, you can select predefined options like Last 7 days or Last quarter, or you can customize the data. One issue with the Date Range filters is that it will by default add the filter to every element on your page. Yet, you may want other charts or tables to have different date ranges. So, how do you correct this? The best way to ensure that your Date Range filter is applied only to certain elements is by limiting the filter to either a single element or a group of them. First, you must group the elements together. To do this, follow the below steps. Select all the charts that you want to group. Right click on the set, and select “Group”. Alternatively, you can click on the Arrange menu, and then click “Group”. Once you group charts, tables, etc., the data filter will only be applied to the selected elements. To change the date of certain filters, you would apply the same principle. Select the icon, and then draw the shape over the widgets that you wish to change. Be sure to group the widgets that you want to add the filter to first. Select the Date Range control icon. 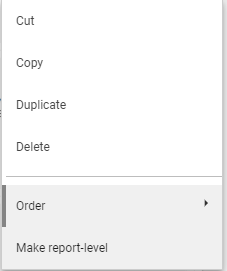 Click “Align”, and then “Make Report-level” menu. You’ll now see the date range on every page. One note about Date Range filters: These can only be applied to data sources that have a date dimensions. If your data doesn’t have any dates associated with it, this won’t work. As mentioned, Data Studio allows you to showcase different types of data into a single report with the use of pages. You can treat these like multi-page reports in Word or similar programs. For example, you could add an overview or summary page, and group like data from different data sources on a single page. 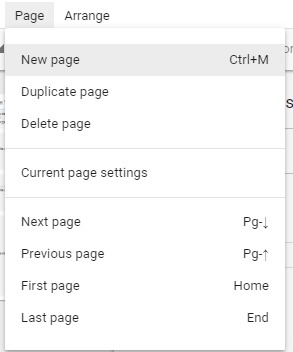 You can generate pages by clicking Page, and then one of the options. If you like the format of the page on which you are currently working, then you can duplicate the page and simply edit the other content. You can also add a page within the toolbar simply by clicking the “Add a page” button. Both sections allow you to easily create new pages as well as navigate to the page of your choice. 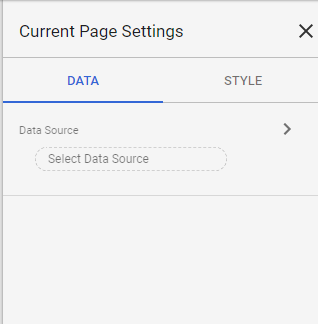 Once you produce your pages, you can change the Data Sources and Style of the page within the “Current Page Settings”. When you click “Select Data Source”, you’ll be able to scroll down to see all your integrated data sources and add them. In many respects, Data Studio works similar to certain Excel reports. Like Excel, you can add advanced reporting elements by using different formulas. Known as calculated fields, they allow you to manipulate the data within your data sources. These calculated fields can both dimensions and metrics, and they appear as new fields within the data source. For example, you can use a formula like REGEXP_MATCH() to return a specific value if X matches Y, or CONCAT(), which combines text from various sources. Begin by editing your data source. At the top of the “Field” column, you’ll see a blue “plus” button. Click on it. Give the field a name. Enter the formula that you want to use for this field. Once the field is created, you can implement the formula by applying the calculate field to a row of data within a chart. The formulas within the calculated field use one of the following syntaxes: Functions or Arguments. With Functions, you can generate formulas that use mathematical equations, logical comparison, text handling and more. A formula can also use multiple functions. Arguments instruct he function to act upon a certain command. 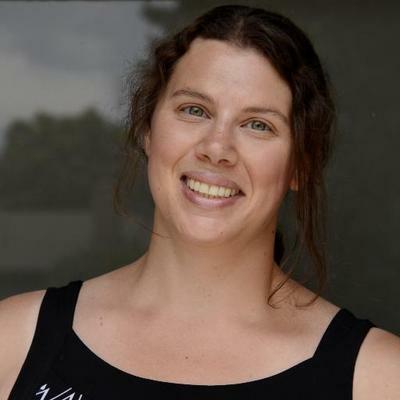 It requires one or additional field-expressions to be used as arguments: Some form of text that corresponds to a field name within the data source. There are many types of functions you can use for calculated fields. The whole list can be found within Data Studio Help. One example of how you can use these fields is by cleaning up campaign tagging. We’ve all seen databases where there are different cases for say address, i.e. ADDRESS, address and Address. You can easily fix this by changing all the cases to lowercase. LOWER(Source) – This would convert any source data (i.e. newsletter, AdWords, Facebook, etc.) to lower case. If you wanted to convert these back to uppercase, simply use “Upper(Source)”. Data Studio is developed by Google, so naturally it allows to report data from such platforms as YouTube, Google Analytics, Google AdWords and other Google-supported services. However, It is important for the marketer to see the “bigger picture” while reporting, and fetch marketing data for example from social networks and payment platforms. This is where community connectors come into place – they are easy to use and allow you to effortlessly to pull data from almost any source you need into Google Data Studio. Supermetrics offers 21+ high-quality connectors, which you can explore here. Google Data Studio is an effective tool within the marketing arsenal. With it being so new, however, most of us have barely scratched the surface of what can be done. Understanding some of the advanced capabilities of the product will enable you to produce more robust reports. Before adding these items to existing reports, you may, however, wish to experiment with a dummy template. Nothing is worse than accidentally erasing or ruining existing data because of a bad function. Once you perfect your template, you can duplicate the processes into existing or new reports.